The Food and Agriculture Organization of the United Nations leads international efforts to defeat hunger. Serving both developed and developing countries, FAO acts as a neutral forum where all nations meet as equals to negotiate agreements and debate policy. FAO is also a source of knowledge and information. We help developing countries and countries in transition modernize and improve agriculture, forestry and fisheries practices and ensure good nutrition for all. Since our founding in 1945, we have focused special attention on developing rural areas, home to 70 percent of the world`s poor and hungry people. FAO's mandate is to raise levels of nutrition, improve agricultural productivity, better the lives of rural populations and contribute to the growth of the world economy. Putting information within reach. FAO serves as a knowledge network. We use the expertise of our staff - agronomists, foresters, fisheries and livestock specialists, nutritionists, social scientists, economists, statisticians and other professionals - to collect, analyse and disseminate data that aid development. A million times a month, someone visits the FAO Internet site to consult a technical document or read about our work with farmers. We also publish hundreds of newsletters, reports and books, distribute several magazines, create numerous CD-ROMS and host dozens of electronic fora. Sharing policy expertise. FAO lends its years of experience to member countries in devising agricultural policy, supporting planning, drafting effective legislation and creating national strategies to achieve rural development and hunger alleviation goals. Providing a meeting place for nations. On any given day, dozens of policy-makers and experts from around the globe convene at headquarters or in our field offices to forge agreements on major food and agriculture issues. As a neutral forum, FAO provides the setting where rich and poor nations can come together to build common understanding. Bringing knowledge to the field. Our breadth of knowledge is put to the test in thousands of field projects throughout the world. FAO mobilizes and manages millions of dollars provided by industrialized countries, development banks and other sources to make sure the projects achieve their goals. FAO provides the technical know-how and in a few cases is a limited source of funds. In crisis situations, we work side-by-side with the World Food Programme and other humanitarian agencies to protect rural livelihoods and help people rebuild their lives. 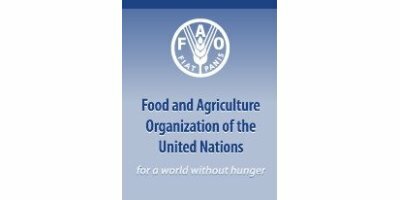 An intergovernmental organization, FAO has 191 Member Nations, two associate members and one member organization, the European Union. Representatives of members meet at the biennial FAO Conference to review global governance policy issues and international frameworks, as well as to evaluate work carried out and to approve the budget for the next biennium. The Conference elects Council Members, to serve three-year rotating terms to carry out executive oversight of programme and budgetary activities. The Conference also elects a Director-General to a four year term of office, renewable once. The current Director-General, José Graziano da Silva, assumed his functions on 1 January 2012 for a term which expires on 31 July 2015. FAO is composed of seven departments: Agriculture and Consumer Protection; Economic and Social Development; Fisheries and Aquaculture; Forestry; Corporate Services, Human Resources and Finance; Natural Resources Management and Environment; and Technical Cooperation. Besides its headquarters in Rome, FAO is present in over 130 countries. The decentralized network includes five regional offices, 11 subregional offices, two multidisciplinary teams, 74 fully fledged country offices (excluding those hosted in regional and subregional offices), eight offices with technical officers/FAO Representatives, and 36 countries covered through multiple accreditation. In addition, the Organization maintains five liaison offices and four information offices in developed countries. As of 1 April 2011, FAO employed 1 835 professional staff (including Associate Professional Officers and National Professional Officers) and 1 856 support staff. Figures only refer to staff holding fixed term and continuing appointments. Approximately 53 percent are based at headquarters in Rome, while the remainder work in offices worldwide. During the last 15 years, the proportion of women in the professional staff category has more than doubled, from 16 percent to 34 percent. In 2010, FAO implemented programmes and projects with a total value of US$903 million. About four percent are funded by assessed contributions through the FAO Technical Cooperation Programme (TCP) and the Special Programme for Food Security (SPFS). The remaining 96 percent are funded from voluntary contributions, through the Government Cooperative Programme (44 percent), Unilateral Trust Fund (UTF) (six percent), other forms of Trust Funds (46 percent), that include UN Joint Programmes. FAO's overall programme of work is funded by assessed and voluntary contributions. The assessed contributions are member countries' contributions, set at the biennial FAO Conference. The FAO regular budget for the 2010-2011 biennium is US$1 billion. The voluntary contributions provided by members and other partners support technical and emergency (including rehabilitation) assistance to governments, as well as direct support to FAO's core work. The voluntary contributions are expected to exceed US$1.2 billion in 2010-11. A comprehensive programme of organizational reform and culture change began in 2008. Headquarters restructuring and delegation of decision making has created a flatter more responsive structure and reduced costs. Modernizing and streamlining of administrative and operational processes are under way. Improved internal teamwork and closer external partnerships coupled with upgrading of IT infrastructure and greater autonomy of FAO's decentralized offices allows the Organization to respond quickly where needs are greatest. As FAO is primarily a knowledge based organization, investing in human resources is a top priority. Capacity building including a leadership programme, employee rotation and a new junior professional programme has been established. Individual performance management, an ethics officer and an independent office of evaluation are designed to improve performance through learning and strengthened oversight.